Atlanta GA homes for sale with a master bedroom on main level or a guest bedroom on main with full bath. Search listings of single family homes for sale in Atlanta GA that have a bedroom on the main level. Some of these homes will actually have a master suite on the main level or a guest bedroom on the main level. Either way having a bedroom on the main level is a plus when visitors, or relatives visits your home and do not have to go up and down stairs. Enjoy your own privacy and private time! 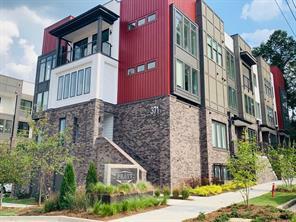 Find homes for sale in Atlanta GA with a master on main or bedroom on main level now! If you are interested in buying a home or selling a home with a bedroom on main in Atlanta GA, Buckhead or North Fulton County – please call me! 1) 1443 Copeland Ave, Atlanta, GA 30310, Fulton Co.
2) 1748 Warren Ct, Atlanta, GA 30318, Fulton Co.
3) 468 West Ontario Ave, Atlanta, GA 30310-1530, Fulton Co.
4) 741 Dill Ave, Atlanta, GA 30310-4361, Fulton Co.
5) 1161 Lucile Ave, Atlanta, GA 30310, Fulton Co.
6) 371 Pratt Drive, 203, Atlanta, GA 30315, Fulton Co.
7) 1886 Cambria Ave, Atlanta, GA 30318, Fulton Co.
8) 6174 Red Maple, Atlanta, GA 30349, Fulton Co.
9) 98 Atlanta Ave, Atlanta, GA 30315, Fulton Co.
10) 1199 Lynhurst Dr, Atlanta, GA 30311, Fulton Co.